Image: Peter Blume. 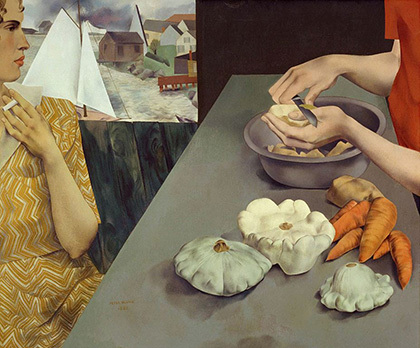 Vegetable Dinner, 1927. Smithsonian American Art Museum, Museum Purchase. Art c. The Educational Alliance, Inc. / Estate of Peter Blume /Licensed by VAGA, New York, NY.